Back in September Allo.com had sent me their Piano 2.1 DAC along with their Kali reclocker, but I didn’t have any other DAC HATs to compare it to and it wouldn’t be fair to it to compare it to my Soekris or my Buffalo III DACs. This changed this week, when they sent me their new Boss DAC and by happy coincidence I also had the chance to spend a few days with the Mamboberry LS DAC+. 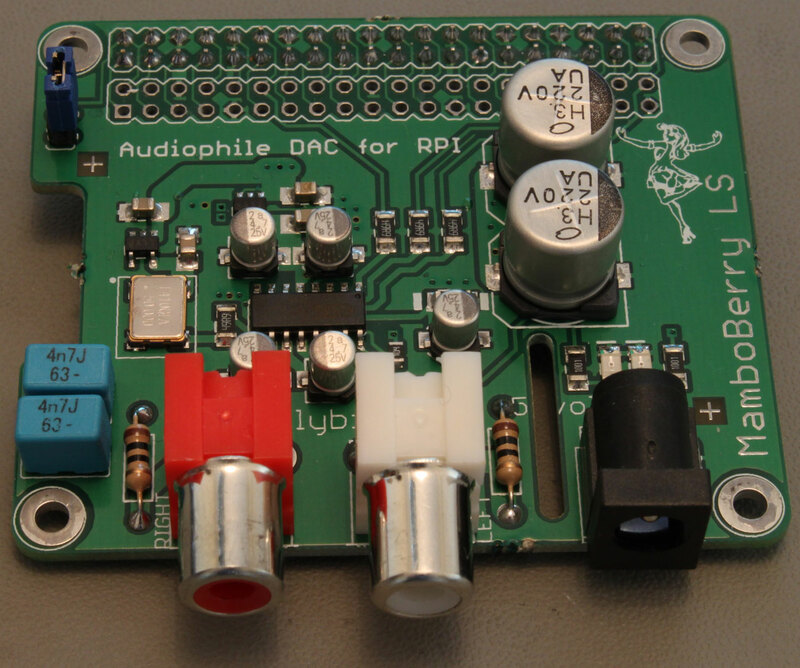 But before I get to the interesting stuff, a few words about the technology used in RPi DAC HATs. 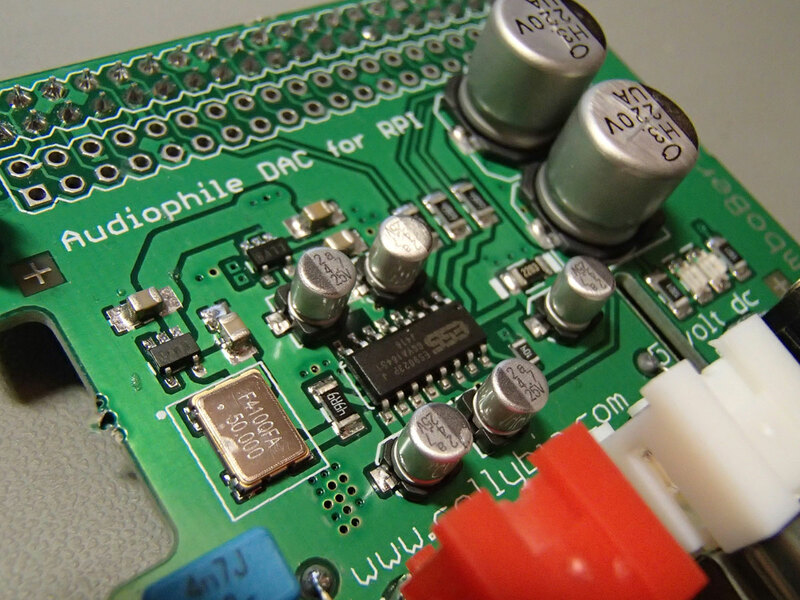 An RPi DAC HAT is fed audio using what is called an I2S protocol. I2S was designed for transferring audio between ICs located on the same PCB, but audiophiles have somewhat stretched its capabilities by using it to transfer audio data between PCBs and some times even between stereo components. It is considered the best, most accurate way to transfer audio data, provided that the I2S signals are properly generated. The RPi has a well-known and documented problem generating proper I2S signals. The problem has remained the same, even though the RPi is now at its 4th generation. 1) Use some kind of FIFO buffer and reclocker in order to regenerate the I2S signals. Examples of such FIFO reclockers are Ian’s FIFO and allo.com’s Kali. The RPi is configured to output a standard I2S signal and then it’s the job of the FIFO buffer to “fix-up” this signal. The resulting I2S signal is of very high quality, since the FIFO buffers utilize very high quality oscillators and power supplies. 2) Run the DAC in what is called Master Mode. Let’s talk a little more about that. Slave mode: The DAC receives all of the I2S signals (BCLK, LRCK and DATA) from the RPi. It is susceptible to jitter since the RPi’s I2S output is problematic. Master mode: The DAC uses its on-board oscillators to generate the BCLK and LRCK signals, it then sends these signals back to the RPi which uses them to clock its DATA output. 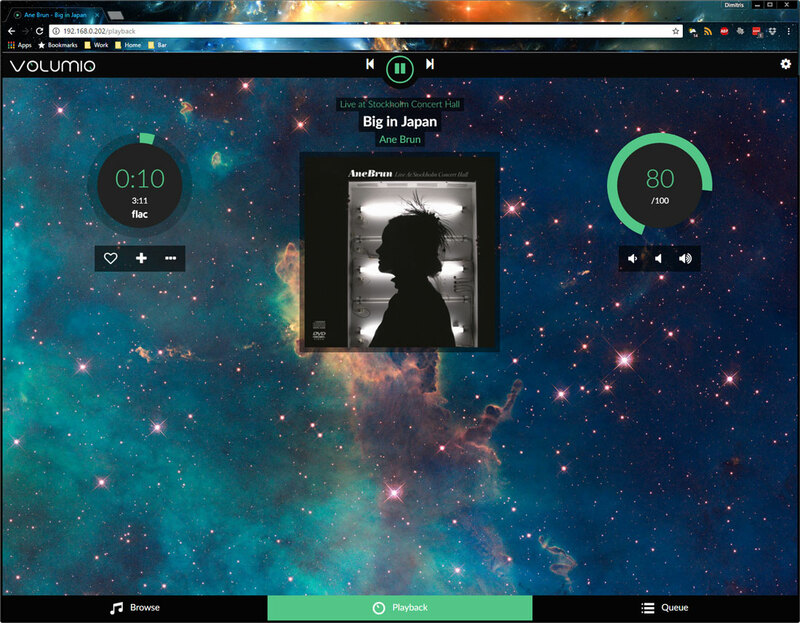 This way the RPi does not need to use its own clock, which is problematic for audio use. The end result is an I2S signal of reasonable quality. Note that not all DAC chips can operate in either of the two modes. Most widespread is the Slave mode, in fact practically all DAC chips support it. The Master mode is supported by a small percentage of DAC chips, like the PCM5xxx series by Texas Instruments or the new ESS DACs (like the ES9038Pro). 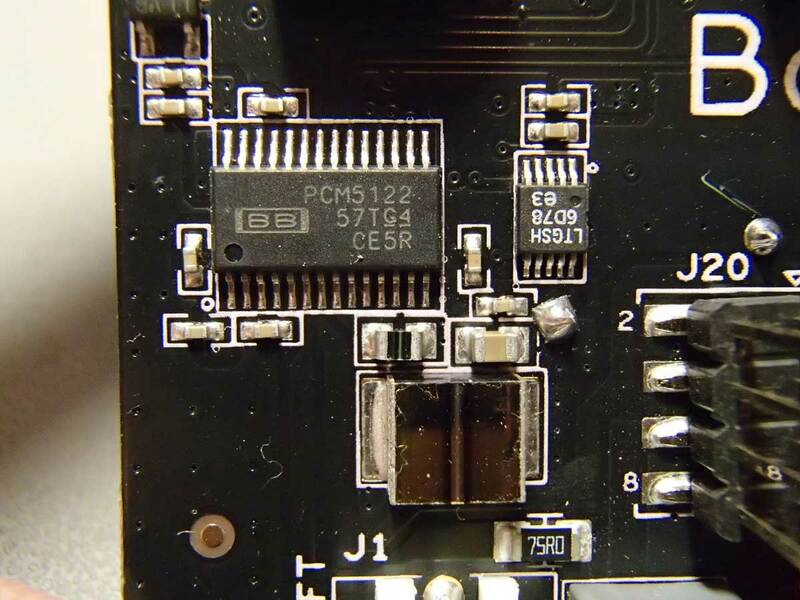 Well known DAC chips that do not support Master mode include the older ESS chips (ES9018, ES9018K2M, ES9023, etc) and the Asahi Kasei DACs (AK4490, AK4495, AK4497, etc.). With that out of the way, lets see our contestants. The Mamboberry LS DAC+ is a moderately priced (54.90€) ES9023 based DAC designed to run in slave mode to the RPi. It is considered one of the better sounding HAT DACs out there. It has an on-board high quality oscillator (by Fox) running at 50MHz (this essentially means that the 9023 is running at asynchronous mode, that is it is resampling all incoming PCM signals), very good quality LDO regulators and passive components. It may be powered either through the RPi or by an external (preferably linear) power supply. Officially the ES9023 supports sampling rates up to 192KHz but unofficially it goes up to 384KHz / 32bit. It doesn’t really require special software support on the RPi, you just set it for “generic I2S output”. The Allo.com BOSS DAC is a somewhat pricier (~70€) master mode DAC. It is based on the PCM5122 DAC, powered by a top-quality LT3042 LDO regulator utilizing DC filtering by very high quality capacitors (including a 330.000uF supercapacitor!). Clocking is done by a pair of NDK extremely low jitter and low phase noise oscillators (45.1584 & 49.1520 MHz), powered by their dedicated LDO regulator. Their output is buffered by an NB3L553 clock fanout buffer IC which further reduces the jitter. Sampling rates up to 384KHz / 32bits are officially supported. It’s powered through the RPi, but it has an “Optional 5V battery power in connector” for future use. 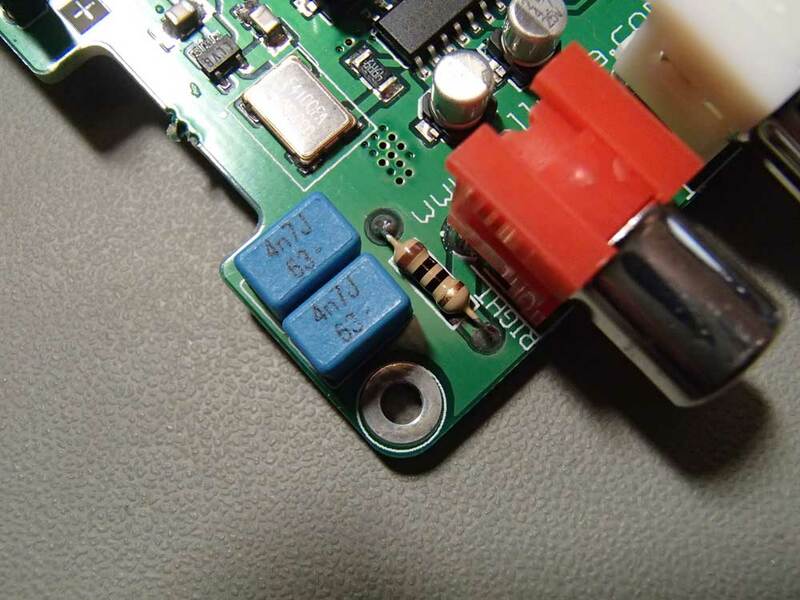 I suspect that this connector can also be used to power the Boss, but a certain resistor will need to be removed to isolate this power from the RPi. This DAC needs a special driver, since it needs to set the RPi in slave mode and also communicate with it via I2C to set operating parameters and utilize the PCM5122’s hardware volume control. 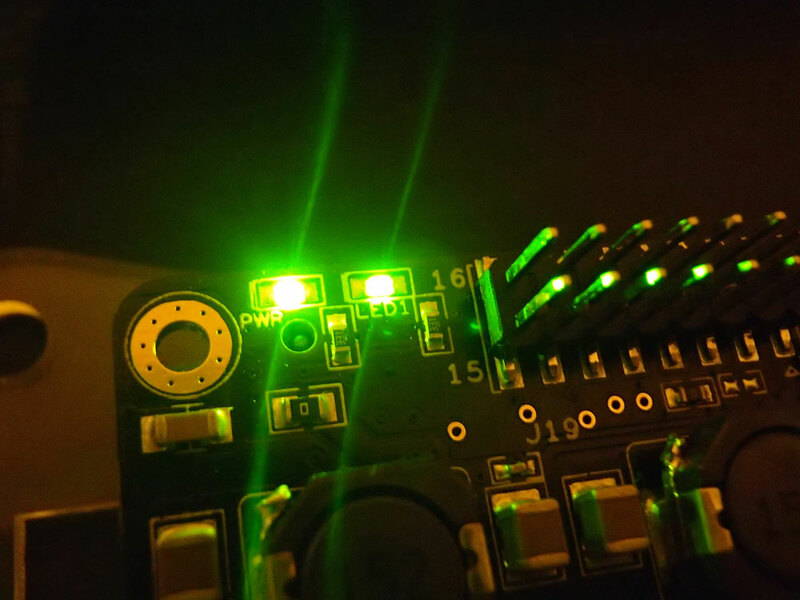 When the DAC is receiving data from the RPi, the indicator “LED1” lights up. 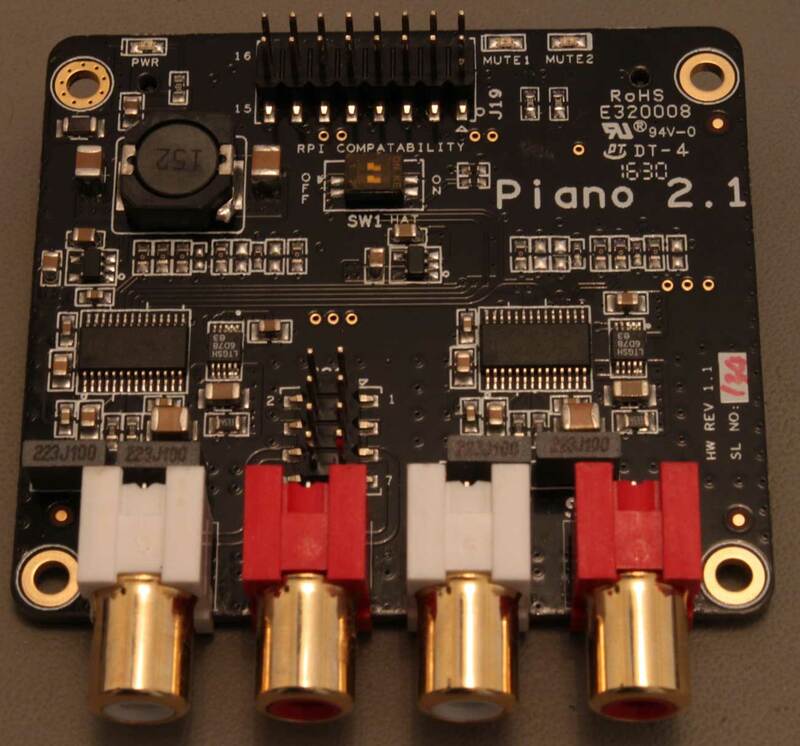 The Allo.com Piano 2.1 Hi-Fi DAC is another moderately priced (~55€) slave mode DAC, based on PCM5142 DACs. Notice the plural. 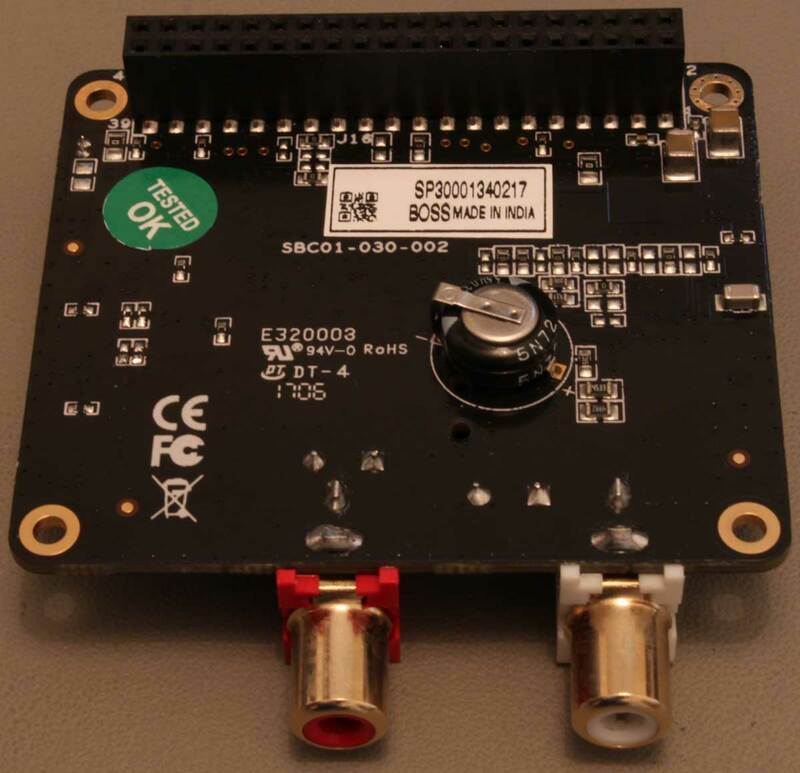 On board this HAT we have two DAC chips that output a total of 4 channels. Each of the DAC chips also contains a DSP core, capable of doing equalization, filtering or other functions. These DSPs can be configured using TI’s PurePath software, but that is not a trivial task. The distributions that include built-in support for the Piano 2.1 come with a pre-built set of filters, capable of essentially configuring the DAC in 2.1 mode so that it can be used with one or two subwoofers. 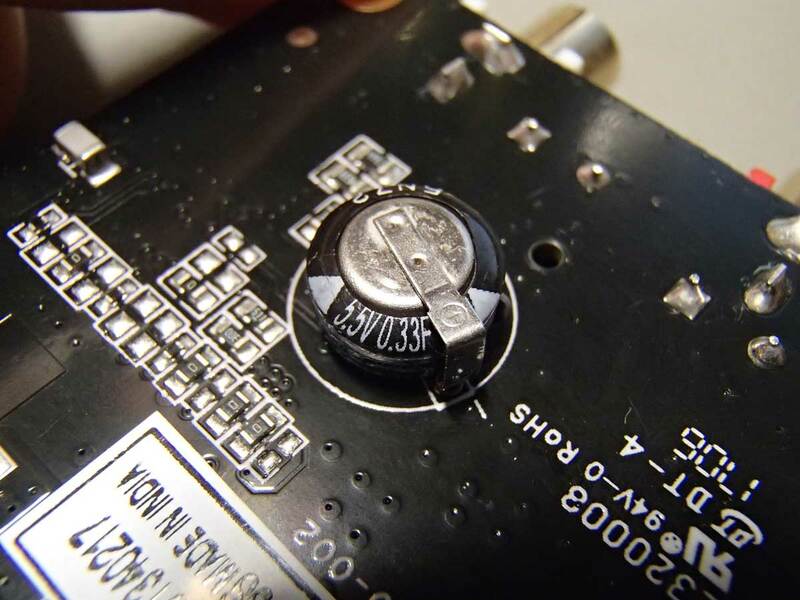 The analog sections of the DAC chips are powered by two top-quality LT3042 LDO regulators. There exists no on-board oscillator, since the DACs are running in slave mode. Sampling rates up to 384KHz / 32bits are officially supported. Power is supplied by the RPi. 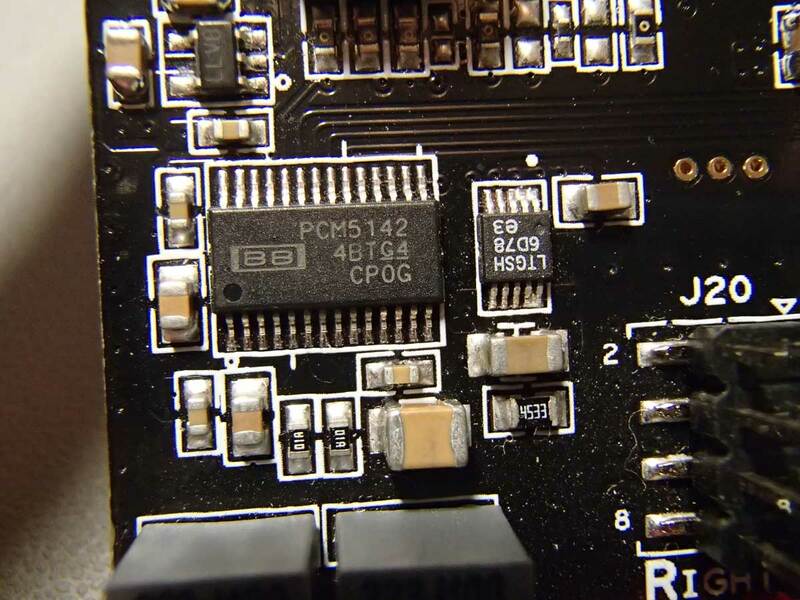 As you can imagine, this DAC also needs a special driver, since it needs to set up the filters in each of the DAC chips plus to utilize the PCM5142s’ hardware volume controls. 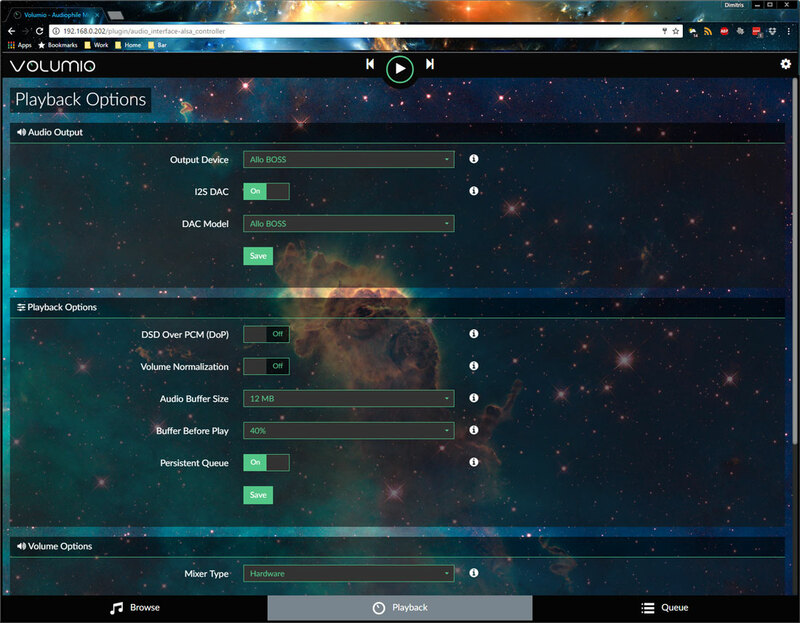 There are many audio-oriented distributions available, such as Archphile, RoonAudio, Moode and Volumio. In order to do a fair comparison, I opted to use the same distribution for all tests. The logical choice was Volumio, since it includes proper support for all of our DAC HATs. 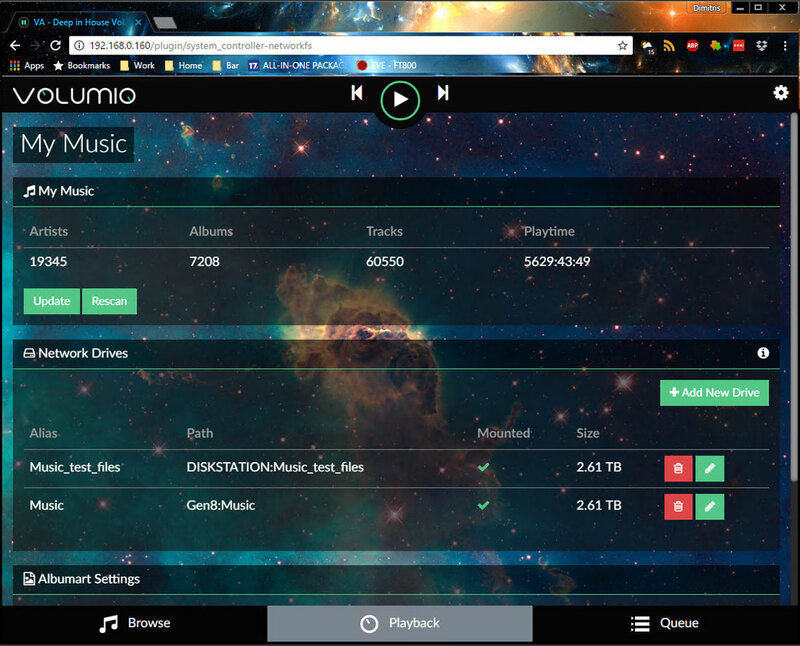 Volumio is very easy to install and is very responsive in my RPi3. No complaints whatsoever. The idea was to test the DACs in their default operating mode, that is with no mods and no exotic power supplies. When testing without Kali, the RPi3 & DAC were powered by a 5V 2A SMPS I had lying around from an old tablet. It’s a pretty high quality unit, made by HP. Still, at the end of the day it’s just a wall-wart SMPS. When testing with Kali, I powered the RPi3 with the same SMPS plus I used an 7805-based linear power supply for the Kali & DAC (jumper on Kali was removed to isolate its power from the RPi’s). Again, nothing exotic. Just a relatively low power (1A max) linear power supply. After I had an initial listen to all of the DACs in pretty much every possible combination, like “plain DAC” or “DAC with Kali” (where applicable of course) and drawn my conclusions, I thought I would take the system “on tour” to a couple of my friends and their superior sound systems. By doing this I was getting a second and third opinion. So, friend#1’s system is a full-blown MBL installation costing upwards of six figures. His main DAC & transport’s cost is in the 20K range. Friend#2’s system is a more DIY affair, consisting of big (and I mean BIG) Magnepan speakers, diy solid state power amp (several hundred watts per channel, many of them in class A, it makes a lot more than a ding in his power bill), diy preamp, Sony XA50ES modified CD player plus (on loan from me) a Soekris DAM1021 DAC. At friend#1’s, we used an SPL meter to equalize the volume levels between all of the DACs. We listened to 3 specific tracks. At friend#2’s, we also listened to the same 2 or 3 tracks on all of the DAC combinations but didn’t take much care of level matching. The observations of my two friends were practically the same, so I won’t distinguish between them. We started with just the RPi with Mamboberry LS. The sound was OK, not nearly what you would call “hi-end”, but considering the DAC’s cost it was more than satisfactory. We then moved on to the RPi with the Boss. The improvement in audio quality was more than apparent. The soundstage became better defined, the instruments more clear, the bass just.. more, but in a good way. Next up was the Mamboberry aided by Kali. Kali did more than just fix up the I2S signal – it also provided clean power to the Mamboberry. Now the Mamboberry began to show its teeth. This combination gave a more clear result than the Boss DAC, like the music became even more life-like. The bass did not have the same authority, but overall the combination Mamboberry & Kali definitely sounded superior to the Boss. Finally, we teamed the Piano 2.1 to the Kali. The Piano was configured in stereo mode, since there were no subwoofers present. This combination gave the best overall result, giving a more “analog”, musical result. Its sound was the most smooth of all of the combinations, while at the same time it was the most life-like. You could say that it was the least fatiguing of the bunch. After we were done comparing the HAT DACs, we thought we should listen to our “proper” DACs, just to put things into perspective. To no surprise, both my friend#1’s DAC and my Soekris properly cleaned the floor with the HAT DACs and it’s a good thing that they did – otherwise we would have felt pretty dumb having wasted so much money on so-called “proper” DACs while we could have got the same result with these DAC HATs. Phew. So, the end result is not really surprising. The more money you spend, the better sound you will get. No giant killers here. But regarding value-for-money, I think that the Boss DAC claims the prize. 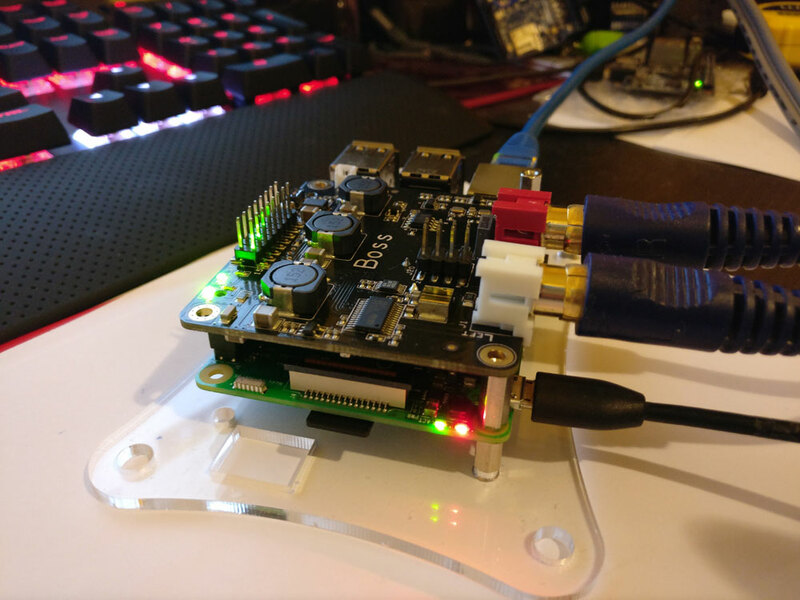 This entry was posted in RPi and tagged Allo.com, Boss, DAC, I2S, Kali, Mamboberry LS, Piano 2.1, Raspberry, Raspberry Pi, Volumio by Dimdim. Bookmark the permalink. Nice article. Can I share this good article? Fun test, but I think you did overlooked something. 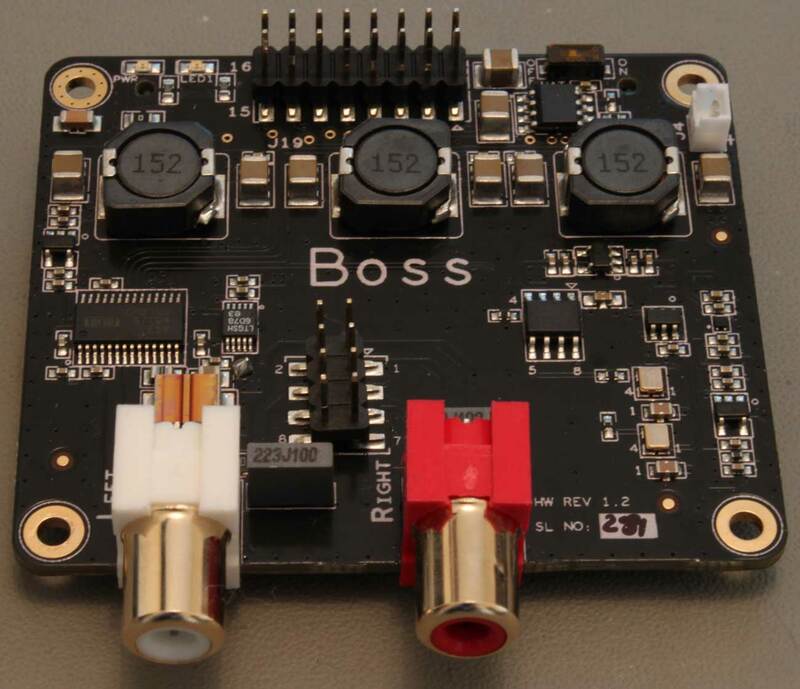 When using the Allo Boss DAC (of which a 1.2 version is now availaibel as well), You could power it directly, so it feeds power from the dac to the Pi. This would greatly improve the sound. Even better results would come when powering the Boss and Pi seperately, and using the best power supply at hand for the Boss. The same goes for powering the Kali and Pi seperately. 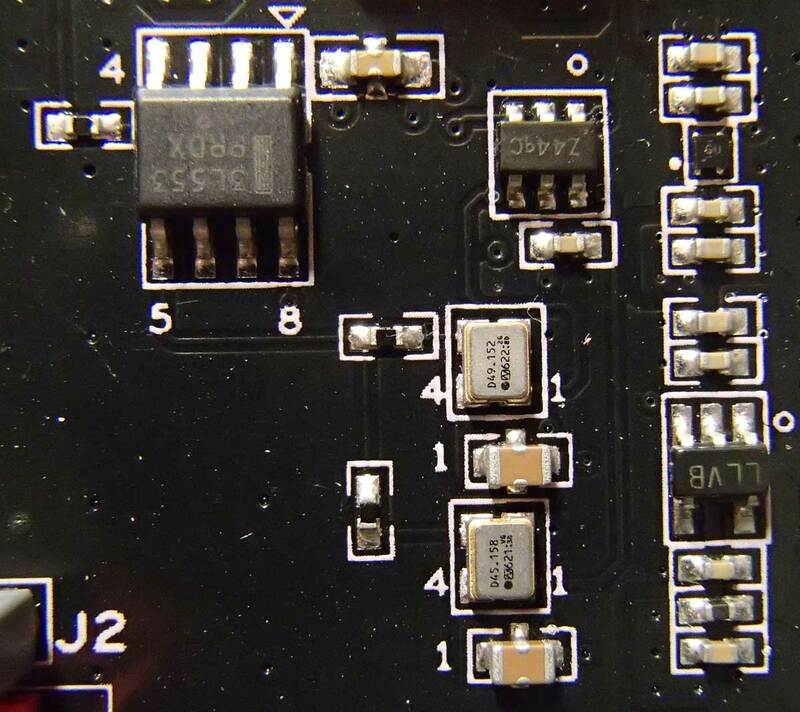 Great blog and particular thanks for the clarification on the clock issues with I2S, master/slave type of DAC operations. I also think subjective SQ reports are fine in the context of a personal blog. It would be nice to have more observations on the “clearing the floor” differences to the Soekris and whatever friend #1 is using. What interests me most, as a low-budget audiophile, how close the various RPI HAT DAC combinations are playing near the big league turf. FWIW, I recently got involved with NOS multibit DAC’s (TDA1387 based), complemented with a KALI(22/24 vers), 5V/3.5A LPS, Volumio. Running this combo against a quality 2xES9018 based unit is providing interesting and positive results. I like to do another setup involing one of your tests, Piano 2.1/KALI(44/48) to see how it stacks up. I love the flexibilty of using a RPI base with various DAC combinations, Volumio/Moode/M2P/Roon etc. and eventually determine the most favourable sound and UI experience. I wonder if you consider future other tests to help the DIY community.